Planning for the 2010 YFC is well underway and we hope you’ll be able to join us this year! If you’re interested in presenting at this year’s conference, download a workshop proposal form at http://www.stonebarnscenter.org Conference registration will open in October! THIS SATURDAY! Cultivating and Marketing Herbs and Edible Flowers Saturday 7/31 9:00 AM – 11:00 AM $15/person ($10/person for CRAFT members) This workshop is for new and transitioning farmers who want to grow herbs and edible flowers for culinary, medicinal, and tisane uses. Join Stone Barns growers for an informative morning covering propagation, companion plantings, soils, plant sales, harvesting, processing, record keeping, marketing, foraging, and weed identification. Instructors will also cover restaurant and market sales, and the educational components of herbs on the farm. The workshop will combine classroom time and a farm tour, so please bring your farmy footwear. To register, email nenaj@stonebarnscenter.org. 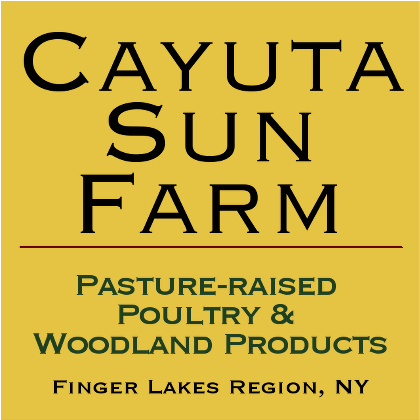 Gain valuable working experience at Stone Barns Center’s dynamic farm and educational center! Join the Public Programs team: experience the seasons on the farm while learning about sustainable agriculture, interact with visitors, and help organize and run programs that communicate the Center’s mission to the public. Public Programs interns will be asked to focus most of their energy on planning theme weekends, coordinating programming at our Farm Market, and assisting with planning for the annual Young Farmers Conference. Interns will also spend time leading tours and programs for the public and offering general support for Public Programs. Visit http://www.stonebarnscenter.org/sb_opportunities/internships.aspx to apply.